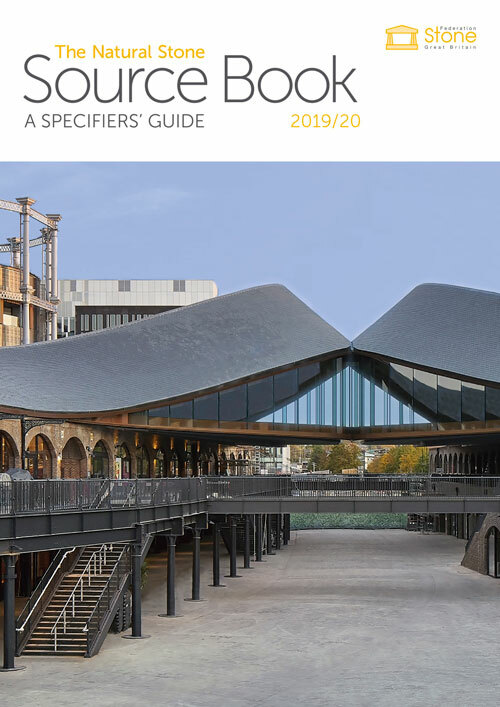 Stone Federation Great Britain are delighted to announce the launch of The Natural Stone Source Book: A Specifiers’ Guide 2019/20. The Source Book is our flagship publication and is designed to be both inspirational and educational, providing the information and visual stimulation required for successful completion of natural stone projects. This publication is ideal for architects, designers, specifiers, contractors, local authorities, developers and clients alike. The Natural Stone Source Book contains a directory of all our members, as well as project profiles, product case studies and an insight into Federation, acting as both a source of information and inspiration. Specifiers can have total confidence and peace of mind that when you employ the services of a Member company, you are using a competent natural stone professional who is backed by the services offered by Stone Federation, the official trade association for the natural stone industry. What’s in the Natural Stone Source Book? The Natural Stone Source Book contains a directory of all Stone Federation members listing their company contact details, turnover, project size, past projects and number of employees. This section helps to give you an overview of the type of work each company provides and the sort of projects that they work on. This section of the Natural Stone Source Book contains a matrix listing of all Stone Federation members, providing a detailed look at the specialities each company provides. The easy to use matrix system allows you to get a quick overview of which companies are right for your project. Held every two years, the Natural Stone Awards showcase the very best examples of excellence in workmanship and stone selection across the industry. The 2018 Awards brochure contains all of the winning, highly commended and commended projects and provides architects, interior designers, developers and clients with a fantastic source of natural stone design inspiration. To view the Natural Stone Source Book online, go to www.thestonesourcebook.co.uk or to order a hard copy, go to www.bit.lySourceBook.